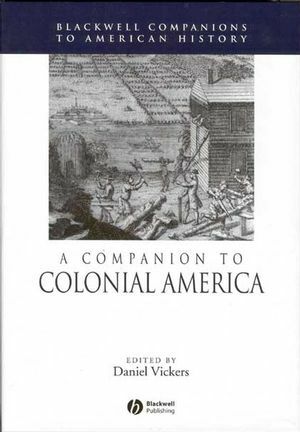 A Companion to Colonial America consists of twenty-three original essays by expert historians on the key issues and topics in American colonial history. Each essay surveys the scholarship and prevailing interpretations in these key areas, discussing the differing arguments and assessing their merits. Coverage includes politics, religion, migration, gender, ecology, and many others. Daniel Vickers is Professor of History at the University of California San Diego. He is the author of Farmers and Fisherman: Two Centuries of Work in Essex County, Massachusetts (1994). Contains twenty-four original essays by expert historians on the key issues and topics in American colonial history. Surveys the scholarship and prevailing interpretations in key areas, discussing the differing arguments and assessing their merits.